Mia and Leah are huge, so how about this similar-sounding choice? 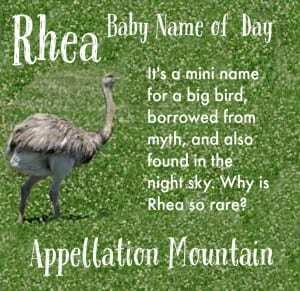 Inspired by the discussion following The Great Big List of Bird Names for Girls, our Baby Name of the Day is Rhea. 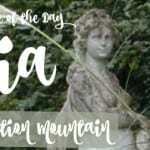 In Greek mythology, Rhea was one of the original gods – the Titans, who came before the better-known pantheon. Rhea was mom to Zeus, Hera, Poseidon, Demeter, Hades, and Hestia. Rome gives us another Rhea – Rhea Silvia, the she-wolf foster mother of Romulus and Remus, the legendary founders of Rome. The name could come from the Greek word for flow or possibly ground. More on that in a minute. 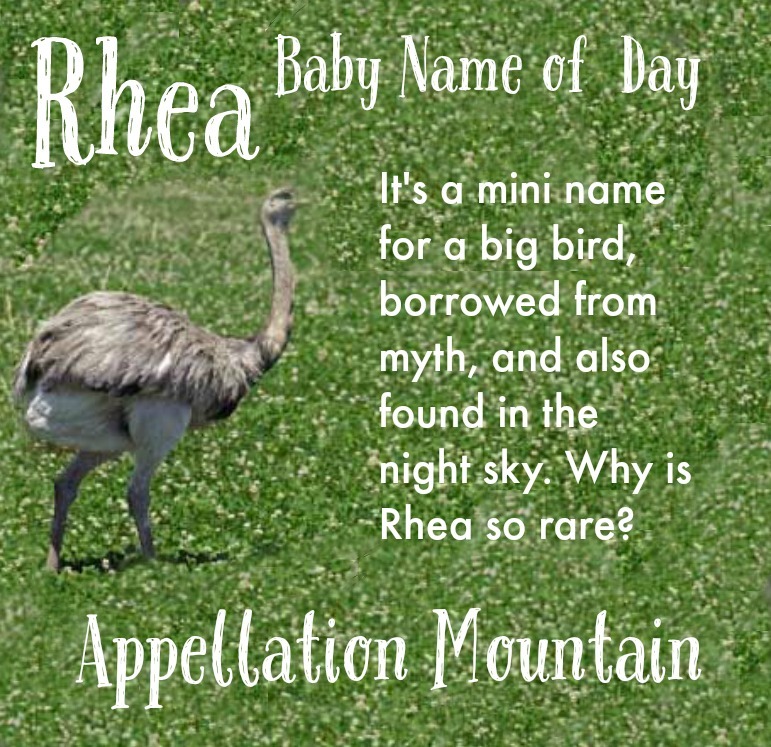 Visit a zoo today, and you might find yourself looking at a rhea – a cousin to the ostrich, large and flightless. We tend to name our daughters after the more delicate of birds – Wren and Lark and Sparrow, rather than Ostrich or Emu. But there’s no reason to overlook this one, just because the bird is big. 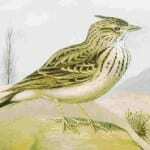 They were named after the Titaness, on the assumption that the name meant ground, since the bird can never take to the sky. Except that Rhea is found in the sky! It’s also the name of a moon of Saturn. It was first discovered by Italian astronomer Giovanni Domenico Cassini in 1672, but it wasn’t named until 1847. That was the year John Herschel suggested the moons of Saturn be named for the Titans. The other three moons became Titan, Dione, and Tethys. The planet has some 62 moons, so they’ve long since run out of Titans and moved on to other mythological monikers. The photo was taken by NASA’s Cassini mission to explore Saturn and its moons, beginning in 2004. There are two notable actresses by the name. Rhea Perlman starred on long-running sitcom Cheers as sharp-tongued Boston native and bar waitress Carla Tortelli, scooping up four Emmy Awards over the show’s run. She also played the hard-hearted mother of Matilda in the big-screen adaptation of the Roald Dahl story, starring opposite her real-life husband, fellow actor Danny DeVito. There’s a younger actress by the name, too – British actress Rhea Bailey, known for television series like The Bill. She’s now a regular on Coronation Street. Rhea hugged the fringes of the US Top 1000 through the 1950s. It never reached higher than #371, and that was way back in 1899. The name left the rankings entirely after the 1960s, but made the briefest of returns in 2004, dipping into the charts at #908. What explains the resurgence of Rhea? There was an art-house movie short from Switzerland released that year, called Cronos & Rhea. But that seems far too obscure to explain the bump. 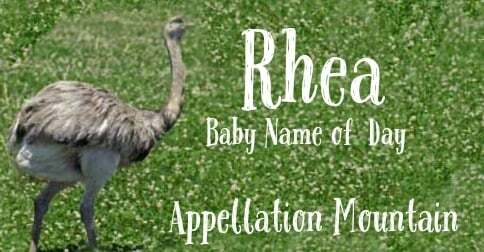 It may have to do with something different: Rhea as a surname. Actress Caroline Rhea had a short-lived talk show from 2002 to 2003. She took over from Rosie O’Donnell. Her surname is pronounced like Ray – or Shea. It comes from the Scottish McRae. So that might explain the name’s increased use, but it raises the question of whether this name rhymes with Mia or Faye? Despite the success of Leah and Mia, Rhea remains outside of the US Top 1000 – but not by much. 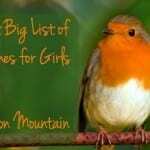 The name was given to 233 girls in 2014, up from 217 girls in 2013. In other words? This bird name could be on the verge of a comeback. What do you think of Rhea? Would you consider the name for a daughter? Pronouncing is Ray or Raya helps, but then you may as well spell the name Raya. Mark Wahlberg’s wife is named Rhea (Ray-a), could also be part of explaining the resurgence? I knew a woman named Ria when I was young. I liked it for it’s river-esque quality. I’m not sure if I like Ria or Rhea more, Rhea seems more classical but Ria is maybe prettier, and certainly lighter.